Is there anything better than cuddling with your pets? You could argue the point, but we truly believe resting with your furry friend is an important past time you should share with them. Now, where that takes place is a different story. It’s common for people with pets to just let their animals jump up on the bed to snooze with them, but we can’t emphasize enough how bad this is for your Tempur-Pedic mattress. There is a time and a place for napping with your little companion, but it’s not when you’re going to sleep. Read on to discover why your fur buddy should probably not participate in your bedtime slumber. 1) Dust, Pollen, and Allergens – Oh My! If you have an outdoor cat and a dog that gets a lot of outside playtime, then you’ll probably be most affected by the mayhem that comes with that. These animals may be clean, but that doesn’t mean they don’t bring in fun allergens from outside. From dust particles to flecks of pollen, your pets have a way of bringing these inside and setting your allergies on fire. 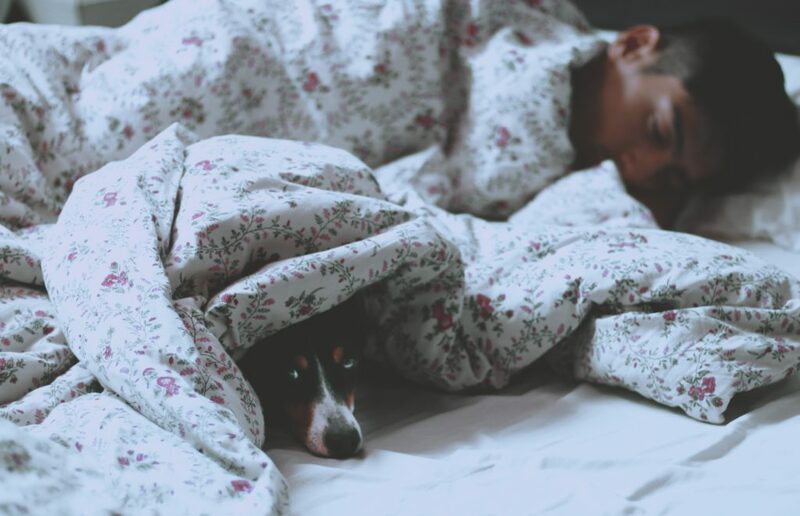 If your pets jump into your bed every night, they’re likely to track those unwanted allergens all over your sleep space, which can easily be absorbed into your mattress. Don’t ruin your Tempur-Pedic Mattress or aggravate your senses by letting your “furiend” sleep with you. Kids can’t always help it, and neither can your pets. Sometimes they get the urge to release their bodily fluids, and then it’s just too late. Your mattress is suddenly wet and smelly and there’s just no going back. So, the best way to keep a clean bed, free of from animal accidents? Just don’t let them on your bed. You should always try protecting your Tempur-Pedic with a mattress cover anyways, but unfortunately, liquids still have a way of soaking through the protector. Keep the pets off and you’ll never need to worry about a mess occurring. If you let your cats and dogs up on your bed often, there’s a good chance they’ll bring in more than just dust and pollen from outside. Germs, ticks, and other icky things could easily crawl their way into your bed sheets, and even your mattress! Of course, even if your animals get all the appropriate shots to prevent ticks, worms, and other creepy crawlies, your animals still have microscopic bugs that can easily find their way into your bed which can ultimately mess with your immune system. To prevent waking up with a fever, keep the pups and kitties off the bed. 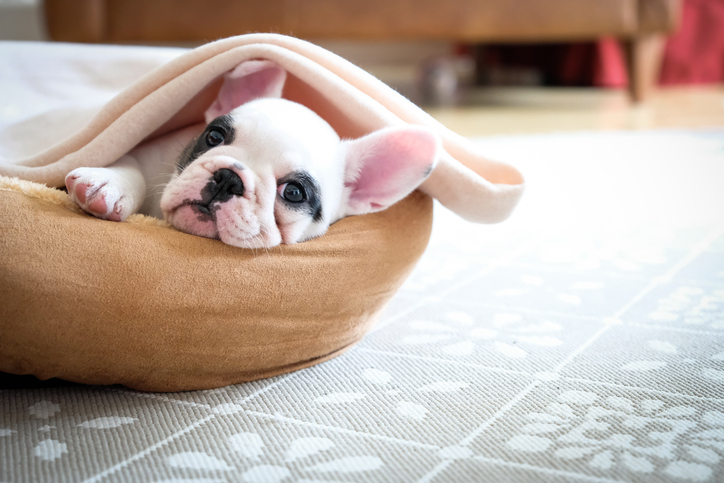 We know it’s a hard thing not allowing your pets on the bed, but a clean Tempur-Pedic mattress is much better for your health. Try finding another spot you can hang out with your animals on, such as a futon, or consider getting your pet their own bed! Either way, keeping the furry fellows off your Tempur-Pedic will keep your mattress, and you, in a better state. If a pet has ruined your bed and you’re ready for a fresh start, stop by our store today to find a Tempur-Pedic bed void of animal hair.